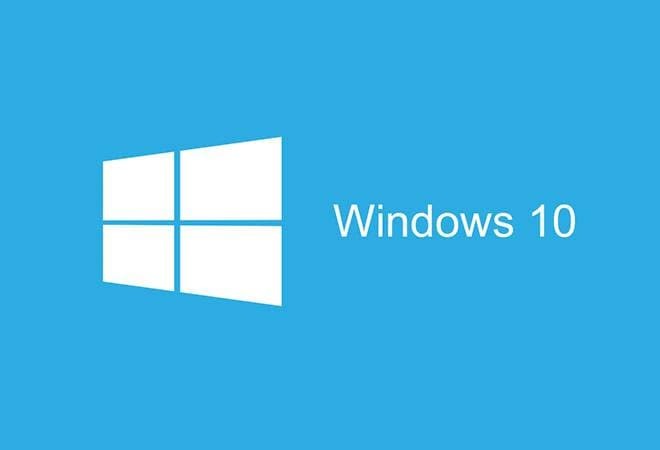 Microsoft's Windows 10 is available for free upgrade for existing Windows 7, 8 and 8.1 systems. But is it worth an upgrade? Microsoft's Windows 10 is available for free upgrade for existing Windows 7, 8 and 8.1 systems. Start up time: With Windows 10, your machine powers up within seconds. Everything seems to launch at a blazing fast speed. While the Windows 8 start up time was much quicker than Windows 7, Windows 10 is even better. And this isn't just restricted to powering on the device, but also while launching any program or simply browsing the files. Start menu is back: If you have ever used Windows operating system (OS) prior to Windows 8, you will instantly feel at home. Thankfully, Microsoft has decided to bring back the Start menu where you can access all your software and search drives. Live Tile dominated the user interface (UI) on Windows 8, and it is very much present here. You can, however, get rid of it by unpinning the app tiles from the Start menu. Even the settings and power options that were difficult to access on Windows 8 are now back in the Start menu. A new search bar added to the task bar that runs a search on the web and Windows works seamlessly. Overall, Windows 10 is intuitive and easy to use. Multiple desktops: Microsoft has introduced multiple desktops to Windows 10. Easy to access, it gives you more space to organise data. You can also easily switch between the desktop - one desktop can be for work, other for home, and you can even have one for kids (if they are using the same machine). Microsoft Edge browser: I have been using a Windows machine for a long time, but my default browser wasn't Internet Explorer. With Windows 10, the company has replaced it with the Microsoft Edge browser. The web pages load much faster now. It also has a feature of scribbling a note on the web page screen. Aero Snap: Windows 10 also gives access to use multiple apps side by side on the same screen. Dragging an app to either the left or the right side of the screen automatically resizes it into half screen space. Instantly, the other app thumbnail appears and clicking on the same resizes it to the second half of the display. Action centre: Windows 10 has an action centre that notifies you of new emails, system information, apps, etc. It also gives you access to tablet mode, all settings, battery saver, virtual private network, Wi-Fi and airplane mode. It is an easy way to access the latest notification and basic settings. Across platforms: I tested Windows 10 on a hybrid and realised that the desktop mode is slightly different from the tablet mode. Under the desktop mode, the Windows key comes in to play. You have a complete desktop at your disposal. One can easily switch between the desktop and tablet mode from the bottom right menu, under action centre. Microsoft also plans to bring a similar interface for Windows 10 smartphones. Cortana: With Windows 10, Microsoft has introduced voice assistant software Cortana, which, the company claims, understands the context and answers accordingly. While this is one of the best features on Windows 10, it isn't going to be launched in India straight away. Cortana will be first made available to insiders (developers with Microsoft) in coming weeks. It will be available for consumers once the localisation has been done. Automatic updates: Until now, you had an option to turn off the automatic update features and update the system only when you want to. But now, with Windows 10, the auto-update cannot be stopped. The software periodically checks for system and app updates, and downloads and installs them. The only option you have is to select when to restart the system after updating so that you don't lose the data you had been working on. However, this feature is accessible in Windows 10 for businesses only.